Finding the right tools to optimise productivity in your startup is key. You are racing against time to become profitable before you run out of money, and every second you can spare by improving how you do things truly makes the difference. Slidebean is a presentation tool for startups and we have a set of tools that have caused a significant impact in our productivity, growth and even company culture. Most of these tools are also startups, and we've discovered through a recommendation or a perk, and we're proud to say that they've become part of our daily use. In many ocassions, we were early adopters which has helped us establish a great relationship with their teams. Intercom.io has become our main support and outreach channel for our users. Before we discovered them we used a combination of Zendesk, Mandrill and Mailchimp. Just like they advertise on their site, they brought everything together into a single tool, and it's fantastic. Using Intercom is key to our onboarding process. We reach out to users based on their behavior on the tool, with extremely personal emails or in-app messages, that include the user's presentation purpose, their location, language and even their recent activity. Furthermore, we’ve implemented a Live chat support system that has become key to our conversion. We’ve built a 3 person team to get the most out of the Intercom functionality, and I can safely say that we wouldn’t be where we are now if it wasn’t for them. We also keep a close relationship with their team, and we are often part of their beta programs. I’m happy to do an intro if you need anything. It’s no surprise that we’re using Slack, after their astronomical growth in the past few months. Before Slack, we used a combination of Email, iMessage, Facebook Messages and Whatsapp, which we used to separate different topics. Jose, our CTO pushed strongly towards switching to a single platform and with some resistance at first, we moved to Slack. Slack has now become our key communication channel, that becomes particularly useful when our team is spread across the world. 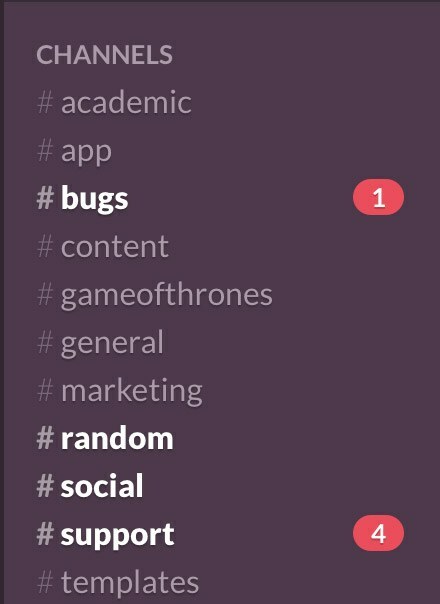 We currently have people working on the US, Costa Rica and Argentina and Slack makes it feel like we’re all in the same room, not only for work-related matters, but also thanks to our amazing #random and #gameofthrones channels. Thus, Slack is not only an incredible communication but is key to our company culture. As the team has grown, keeping conversations in different channels is key and Slack handles this for us. Furthermore, the fact that the rest of our services can post notifications directly to Slack is a remarkable time saver. I couldn’t believe the simplicity of the Stripe interface when we created our first charge, almost a year ago now. “In my mind, charging credit cards was this mysterious, unexplored UI/UX cave, and then came Stripe to save the day. It took our dev team a couple days to integrate, and it’s truly fantastic. Probably my favourite feature is that the user’s credit card information is kept secure, and not even we have access to it. We can charge, subscribe and unsubscribe users, but never have access to the actual credit card number, protecting us, them, and our users for any potential hack. Also, their coupon and discount system has been key to our campaigns. 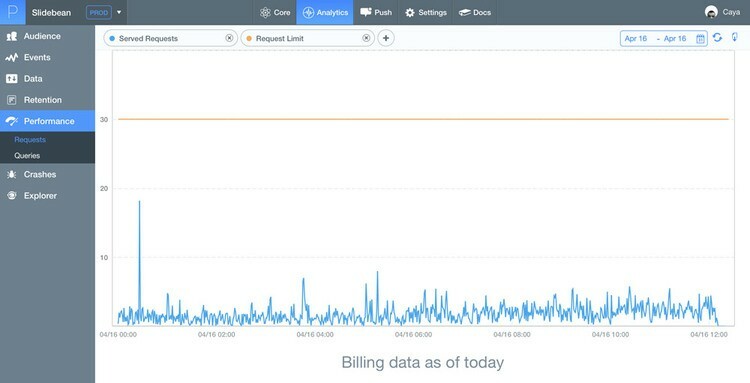 While Stripe is a powerful billing tool, it fails on the analytics part, and this is why we set out to find a SaaS analytics tool to visualise or metrics clearly. Both FirstOfficer and Baremetrics have accomplished the task, each in a very unique way and we’ve actually been struggling for a while to decide which one to keep as we move forward. FirstOfficer is a One Man Startup (actually, one woman) from Europe. Jaana single handedly coded, promoted and supports the platform, whose absolute best feature is the amazing, minimalistic UI. 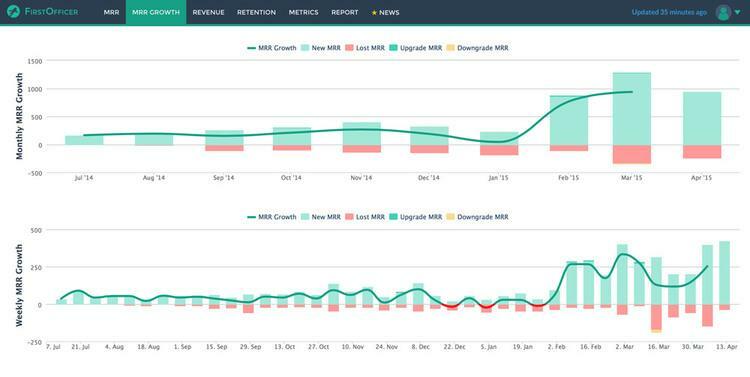 She’s found THE best way to visualise revenue data through visually appealing charts. We can literally get all the information we need in a single snapshot. 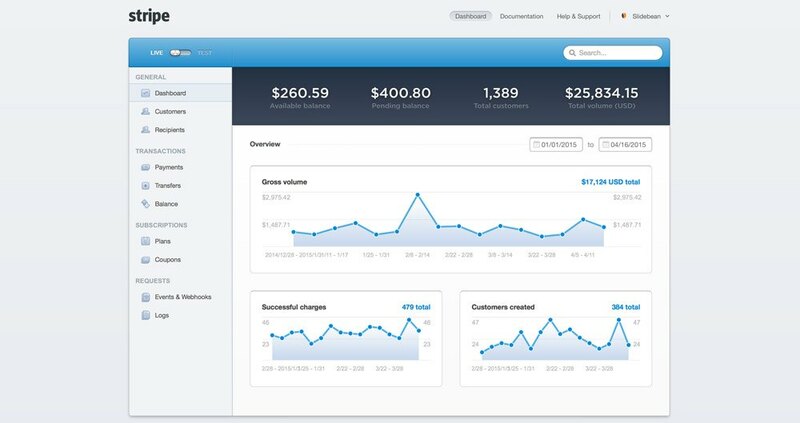 As for Baremetrics, they are a US-based company with significant more traction and a larger team. Their interface is not as simple, but it’s extremely detailed and provides many data that FO fails to provide, this is the reason why we continue to use both. Another key differentiator for Baremetrics is their blog. Their CEO Josh hosts one of the best startup blogs I’ve had the pleasure of reading, and I’m proud to say that we’ve adopted a lot of his outreach tactics. From webinars to the Baremetrics Academy on Saas Metrics, these guys know that they are doing. Finally, they host an open demo of their own Stripe Analytics, which as been useful on a couple occasions to find out if we’re on the right track with our own stuff. I first got to know Parse in 2011, since it was the backend we used for my previous startup Pota-Toss. Parse, recently acquired by Facebook was also the backend of choice for Slidebean. It allowed us to develop an MVP in a matter of weeks, and is extremely scalable. Their Data Viewer lets us to manipulate the database on the web without coding, which is extremely useful so that user information changes can be made by a non-technical team member. Another bonus is that with our current use of their API, we still fall into the free tier. Their functionality will also allow us to move to iOS and other mobile platforms with a minimum effort.